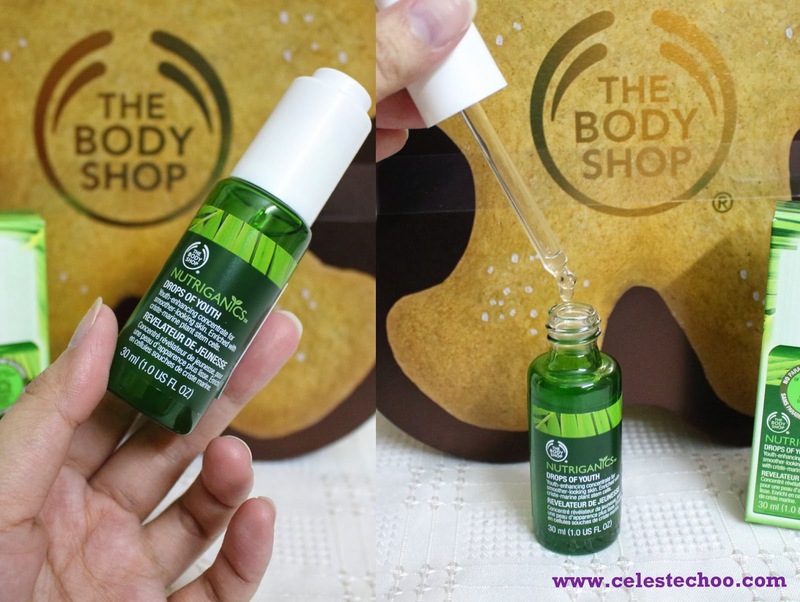 CelesteChoo.com: The Body Shop Nutriganics Drops of Youth: Miracle in 5 days! The Body Shop Nutriganics Drops of Youth: Miracle in 5 days! 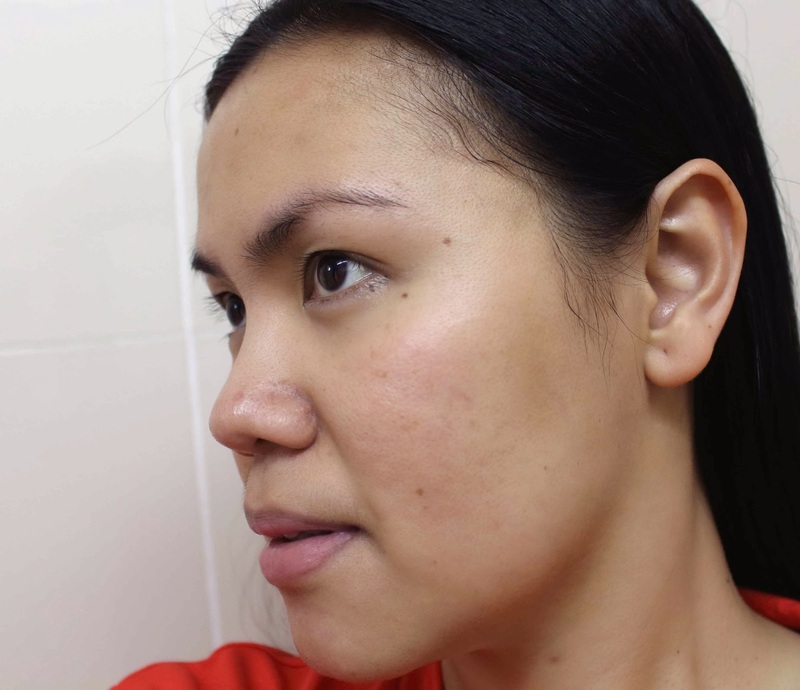 I know I've mentioned this several times in my posts but, yeah, I am definitely concerned about my skin aging and I am becoming more and more of an anti-aging junkie. I'm pretty sure I will continue to be one in the next coming years. Every time I notice a bad change on my skin, e.g. 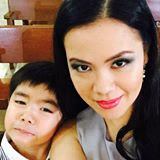 additional dark spots, a fine line, or some redness, I get into some (minor) panic frenzy then I start to recall my younger days when I only panic if I ran out of my liquid eyeliner. Haaayyy, why does time fly so fast? The truth is I don't believe that one, single skincare product can solve all our problems. Although one product can make a significant change or improvement, that product still needs to work together with other skincare, with our lifestyle, with our routine and, of course, with our diet. People who expect one beauty product to change or solve all problems still surprise me. There's a reason why experts call it "skincare regimen" and "skincare routine". 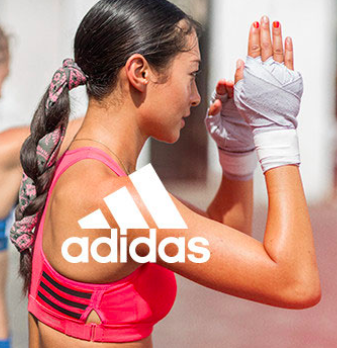 It involves several products, several applications and it takes time to see expected results. I guess we are all just impatient and always in a rush. We want everything to be easy and fast. But it's definitely great to discover an amazing product that can result to significant changes on my skin! And this latest discovery gave me wonderful results in 5 days! 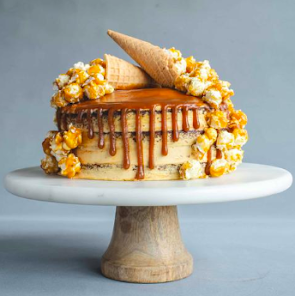 It's not easy to believe in miracles but this one did make me see the light. I was given an opportunity to test-drive The Body Shop’s Nutriganics Drops of Youth. The trademarked name Nutriganics sounds like a very intelligent science, and I’m definite that coming from The Body Shop, it must be. It seems to me as a fusion of the 2 words, Nutrition and Organics. 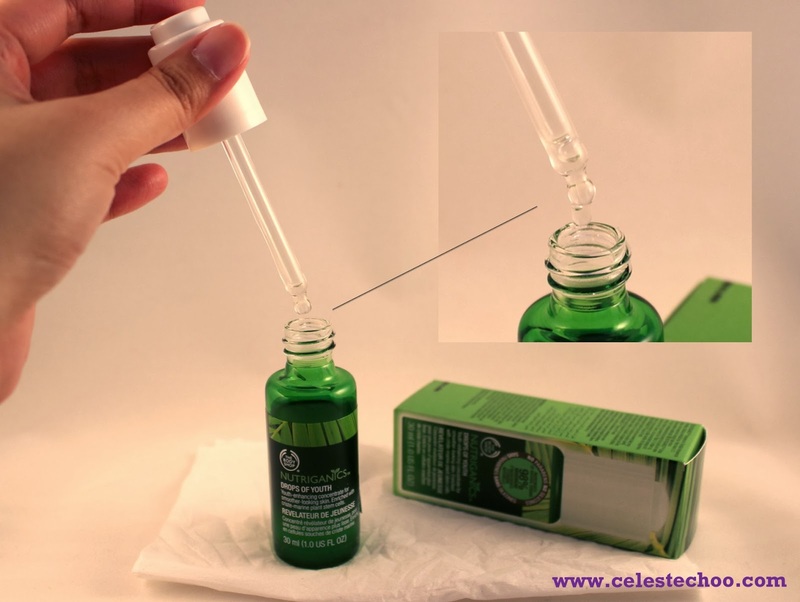 The product comes in a green glass bottle with a white cap that also serves as a dropper dispenser. I like the fact that it is in glass as generally, glass containers are better in preserving the integrity of skincare products, especially for organic ones (some might debate the glass vs. plastic issue but I personally like glass packaging for serums or moisturizers). The glass is also colored dark green to prevent it from too much light but at the same time, still allows me to see how much is left inside. I really like this type of packaging as I don’t like running out of my products; I need to buy a new one when it’s about to finish. The texture of the product is very water-like. You can see that even without applying pressure to the dispenser, the serum/ concentrate naturally flows out slowly from the dropper. The scent is very light and pleasant. I smell flowers, plants and baby powder. The concentrate is immediately absorbed into the skin within seconds. I apply it after my toner and moist lotion daily, morning and night. 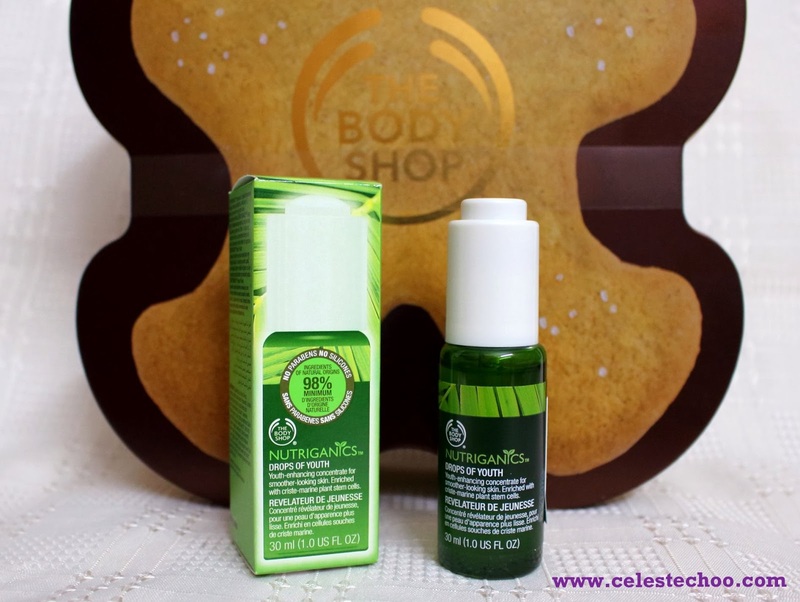 The Body Shop Drops of Youth contains NO PARABENS and NO SILICONES. It is also certified organic cosmetic (with ECOCERT seal - find out more below). So I started my 5-day-test-drive of the Nutriganics Drops of Youth (DOY). My Drops of Youth journey started after Chinese New Year. On the photo below, you’ll see my skin condition before I used DOY. My skin was actually quite bad after CNY due to fatigue, I think, from long hours of travel and going here and there for the festive celebration. This usually happens to my skin when I’m travelling. Maybe it’s also because I don’t really follow my normal skincare routine during travels. I just bring a few of my beauty products that come in travel size but not all. Day 1, 2, 3, 4 passed and on the 5th day…voila! 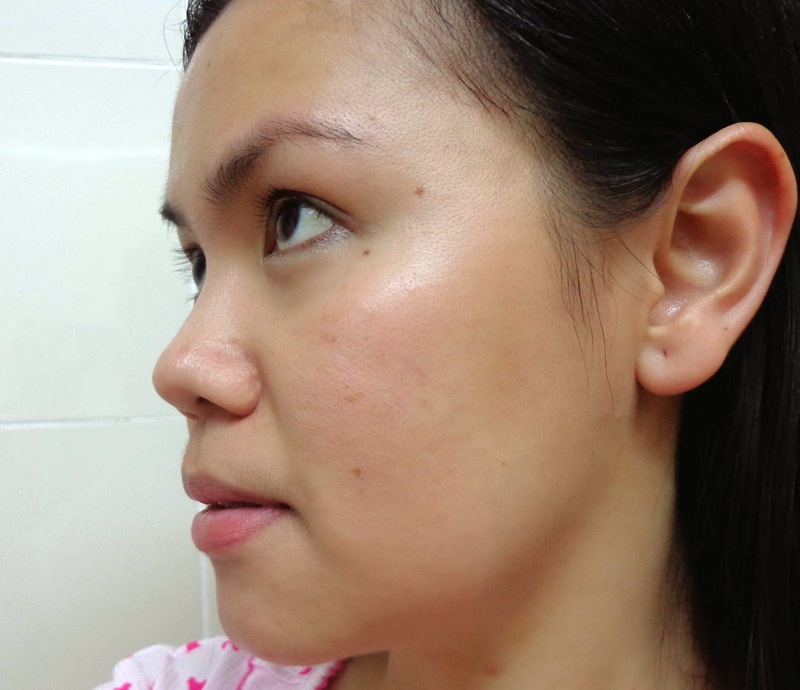 See my skin condition after only 5 days using DOY. Again, this photo was also taken right after cleansing --- no beauty product applied. 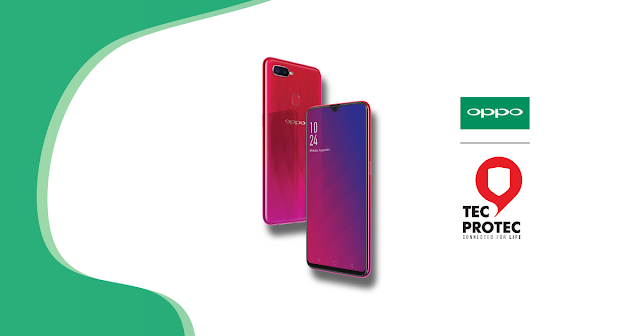 Notice the fresher look, smoother and more radiant appearance. 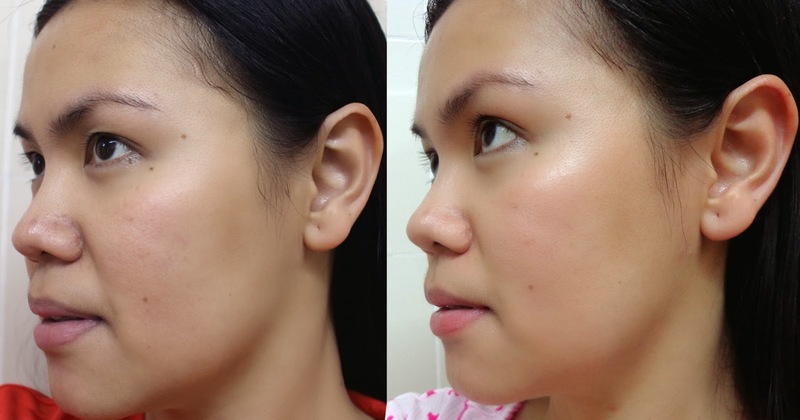 In just 5 days, I saw significant results in using The Body Shop Drops of Youth together with my current skincare regimen. As I mentioned, no single product can work alone. 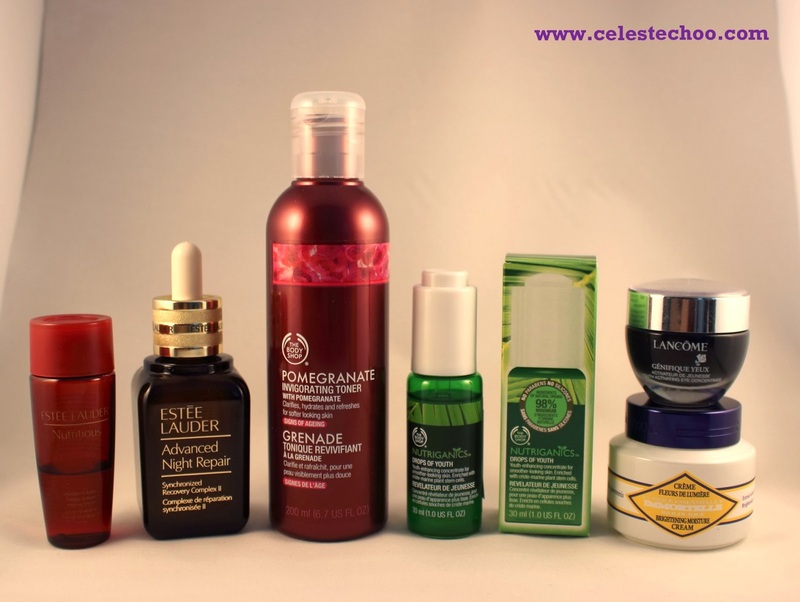 Here are the other skincare products that I used together with The Body Shop Drops of Youth. 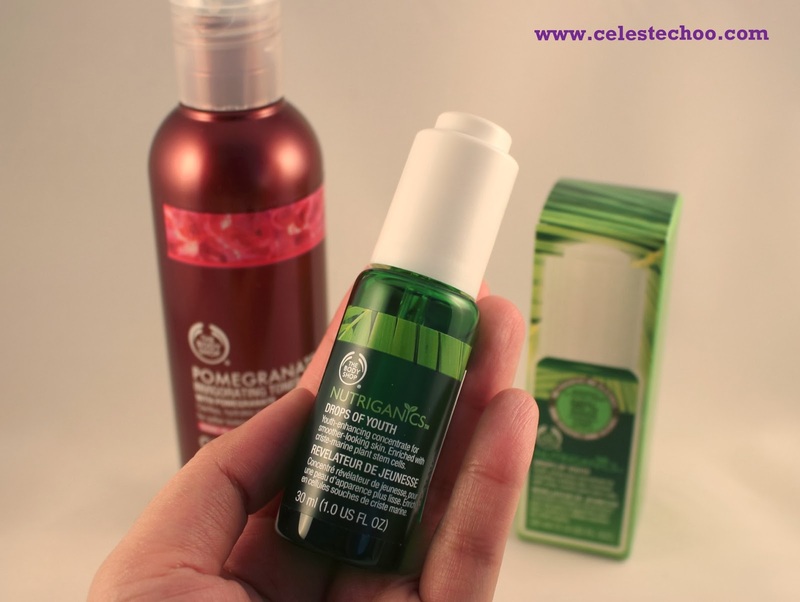 I am actually also using another Body Shop skincare item, the Pomegranate Invigorating Toner. 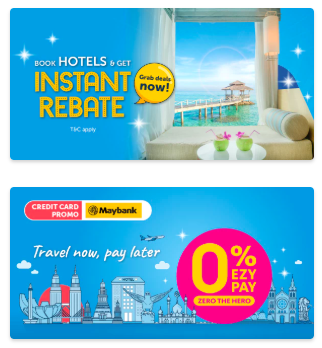 Now that's miracle in 5 days! I'm looking forward to seeing even more miraculous results while I continue to use Drops of Youth! The Body Shop’s certified organic range has been created for the first signs of ageing. The Nutriganics Drops of Youth is an innovative concentrate that helps to enhance surface skin condition, leaving it looking smoother, fresher and healthier. Enriched with plant stem cells, Drops of Youth helps to optimize your skin’s youthful beauty by helping to enhance surface skin renewal, the skin’s natural process of replacing the uppermost dead skin cells with new ones beneath. Drop by drop and day by day, skin looks smoother and firmer. The Drops of Youth promise --- 5 Days to Results! Drops of Youth benefits from Community Fair Trade Organic Babassu oil. The Body Shop trade in babassu oil has helped to empower the women of the COPPALJ co-operative in Maranhão, Brazil, by turning the traditionally female occupation of shelling and pressing babassu nuts into a key source of income. Its 150 members now have a greater say, and new standing and respect, in their communities. GOOD NEWS! 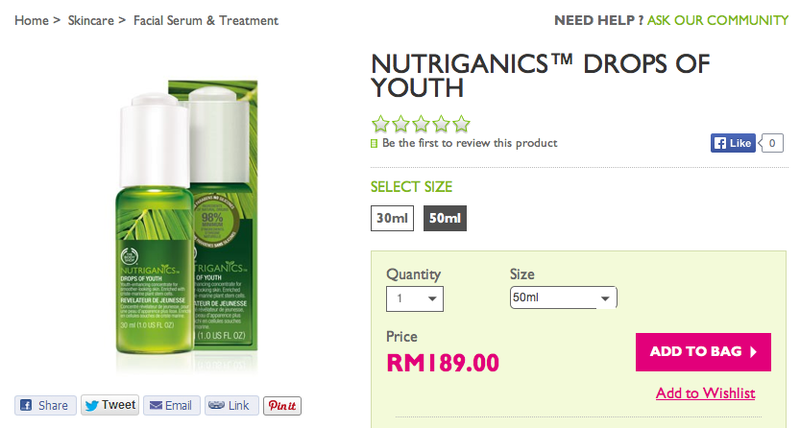 Nutriganics Drops of Youth now comes in a bigger bottle of 50ml size at RM189.